He burst through the door, annoyed by something. We’d been together long enough for me to know that he would respond to my raised eyebrows with the cause of his frustration. 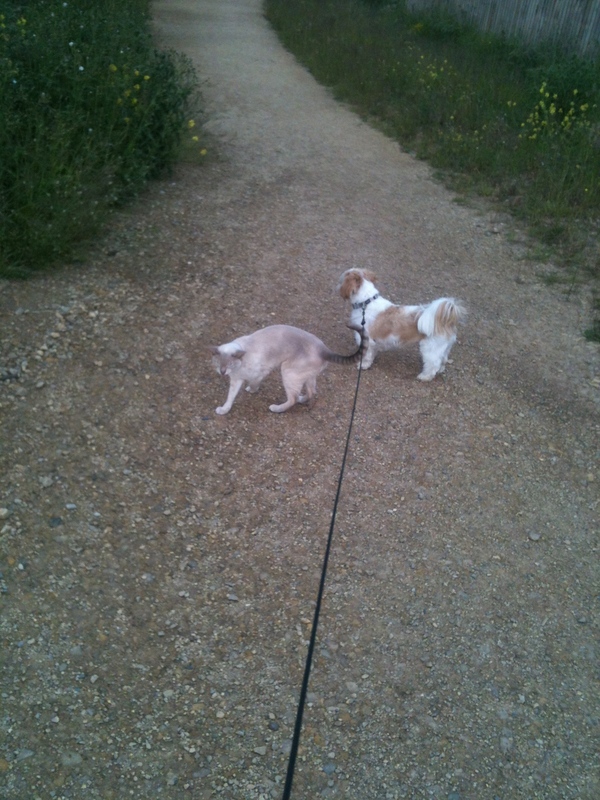 He began to tell me that his usual evening dog walk was being ruined by the cat meeting him half way round the route and following both him and the dog for the rest of the walk. I turned away before I smirked. I was supposed to be born in the Mediterranean. When it is cold, wet and windy, days are short and dark and the wardrobe is full of jumpers, trousers and boots, I feel gloomy. My arthritis hurts and I want to eat naughty foods for comfort. When it’s sunny and warm, I feel energised and alive. My arthritis goes to sleep and I dig deep into the wardrobe for summer dresses and pretty sandals. I eat salads and dig in the garden. I want to run and skip and jump and I feel happy to the core. The meeting was called for 9:30. All parties were seated around the table and Jim tapped his pen nervously on the white vellum in front of him. The double doors were snatched open and the architect entered in a flurry of damp raincoat and assorted document cases. He apologised whilst handing over his coat and arranging the documents on the table. I couldn’t manage to get this into 100 words plus the prompt this week. I’ve gone 13 words over – sorry! You’re too big for your boots! And as for exercise – you jest! I’ve heard enough. I’m going home. To have a slice of cake. She ran her fingertips over the smooth surface of the wall. The smell was amazing. Under her touch, the wall began to melt and left its sticky sweetness on her hands. The hall table, previously shiny glass, was now brown. She examined it closely, scarcely able to believe her eyes. She ran her tongue over it – it was chocolate too. The floor beneath her feet began to crack and disintegrate and she felt herself slipping through into the void below. Looking at all of that chocolate she began to seriously regret saying to that fairy godmother that she wished her whole house could be made of chocolate. 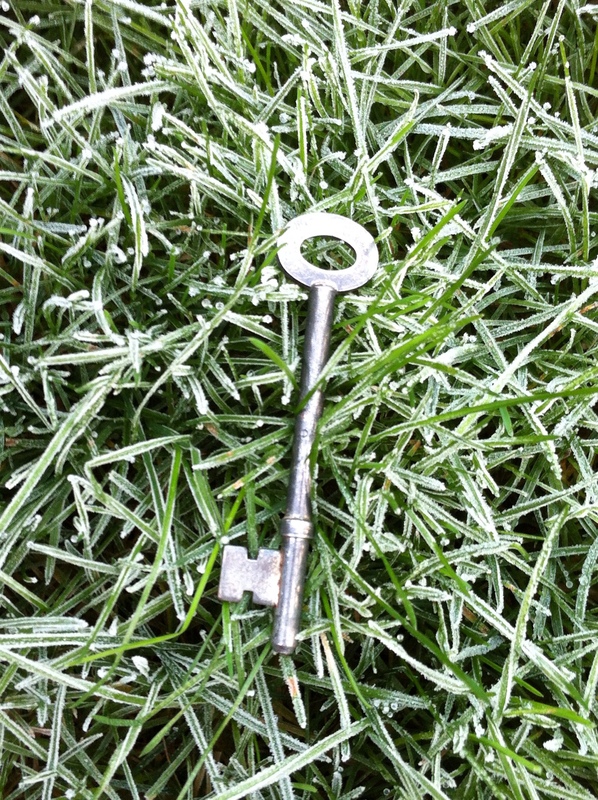 She inched forward across the lawn, feeling the iced blades of grass underfoot, breath hanging in the air like a whisper. If she had looked behind, she would have seen the whitened prints she had left but her gaze was firmly ahead, searching for the key. She drew the coat around her tighter, tension growing, eyes focussed, thoughts ranging from ‘what if’ to ‘don’t panic’. It felt like hours but was probably only a few minutes when she saw the glinting metal a few feet ahead. It lay there, taunting her with its icy stare, daring her to pick it up.